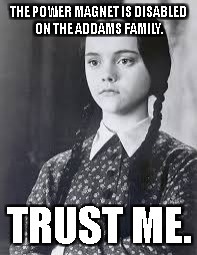 When “The Power” magnet has been disabled on The Addams Family, but you could SWEAR it’s still on. 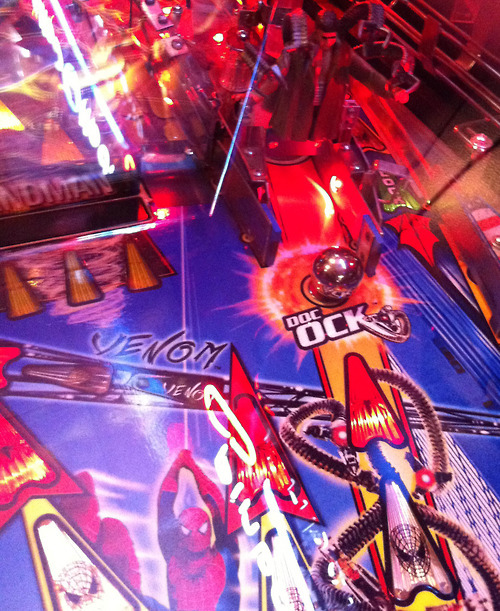 “The Power” is a magnet underneath the playfield that will redirect the path of the ball at random times when it’s active. The Power is dangerous because of its unpredictability. It can even stop the ball in it’s tracks and throw it into the drain. 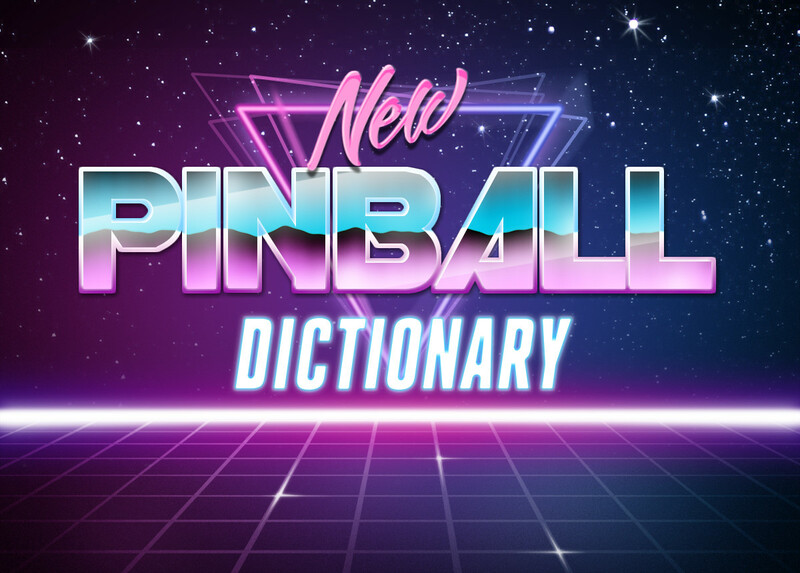 However, The Power will stop functioning after about 15 seconds of inactivity (i. e. no switches are being hit on the pinball game). Many players will catch the ball and wait until The Power deactivates before making an important shot. The problem is, this can add a significant amount of playing time to each game. Some tournament directors will choose to deactivate this feature to speed up game times on this game. They will also tell players this before the tournament starts. However, during gameplay the light that says “The Power” will still flash as if it is on. Some players are so used to the magnet being on when the light is flashing, that it may feel like the magnet is still on even though it is not.